Central Garage on E. Main. 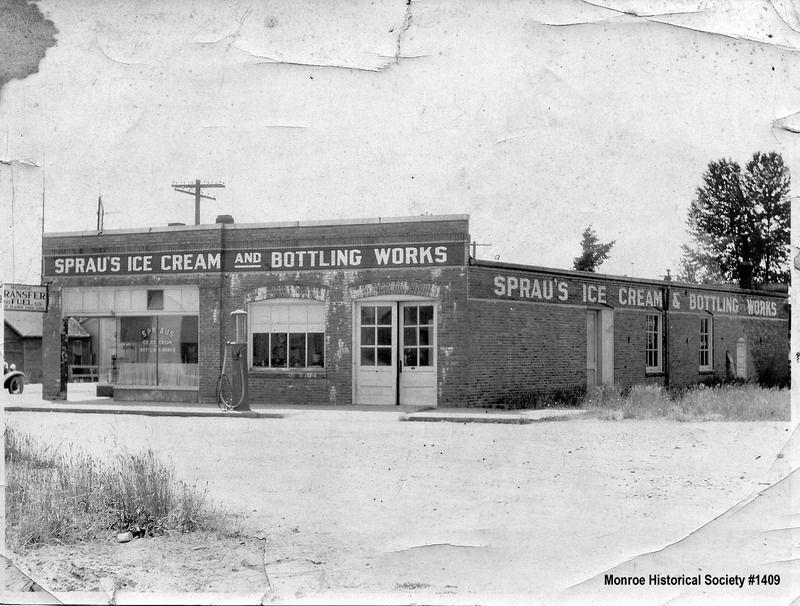 By the 1920s there were several “true” service stations, mostly on Main St. At that time, and up until the new Stevens Pass Highway was opened in 1950, Main Street was the cross-state highway. At Park Place, just to the west of town, John Lind (standing next to his pump), a recent immigrant from Sweden, started Park Place Service in the mid-1920s. 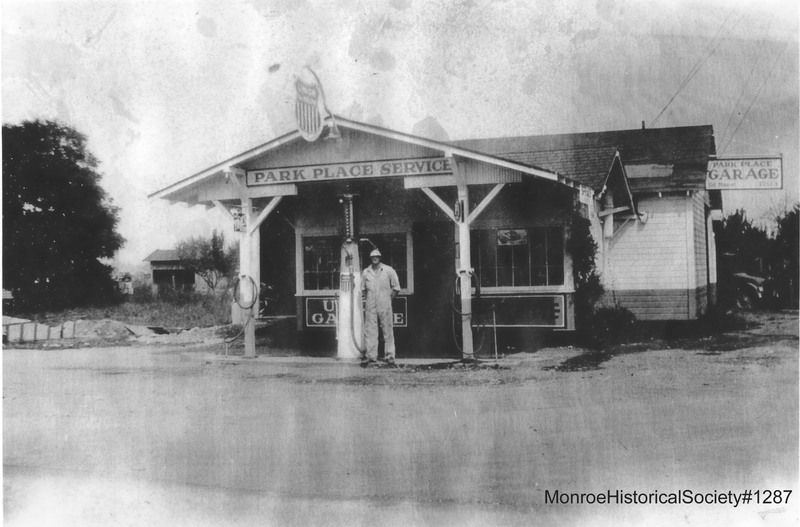 One of the longest continually operating businesses in Monroe, the station is still owned by the Lind family, although gas stopped being pumped there about 2010. 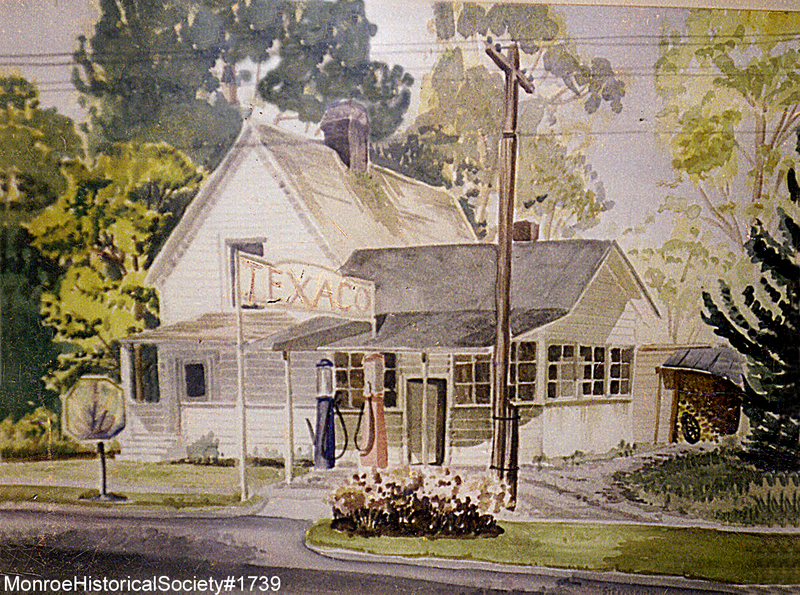 People were not averse to having a service station in their front yard, as is shown in the painting on the left. It shows Hartzell’s gas station, at 517 S. Lewis Street. 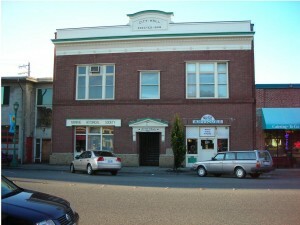 In business from 1928 to 1939, the station also sold newspapers, candy, cigarettes, kerosene and coal oil. 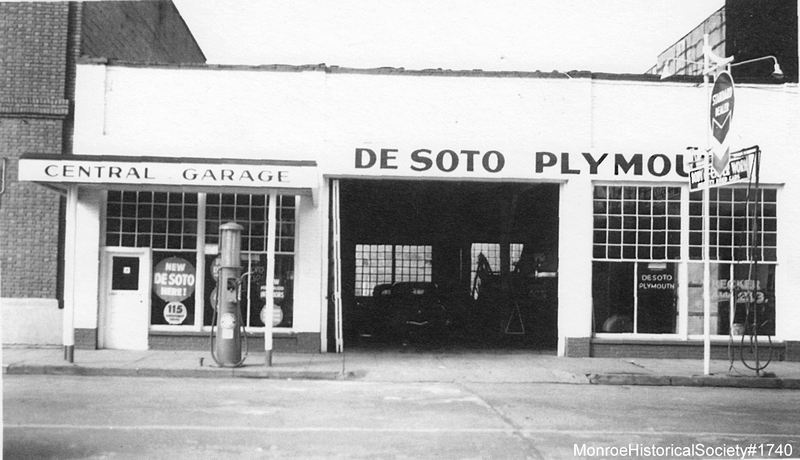 Motor oil, sold by the quart, was pumped by hand from tanks. 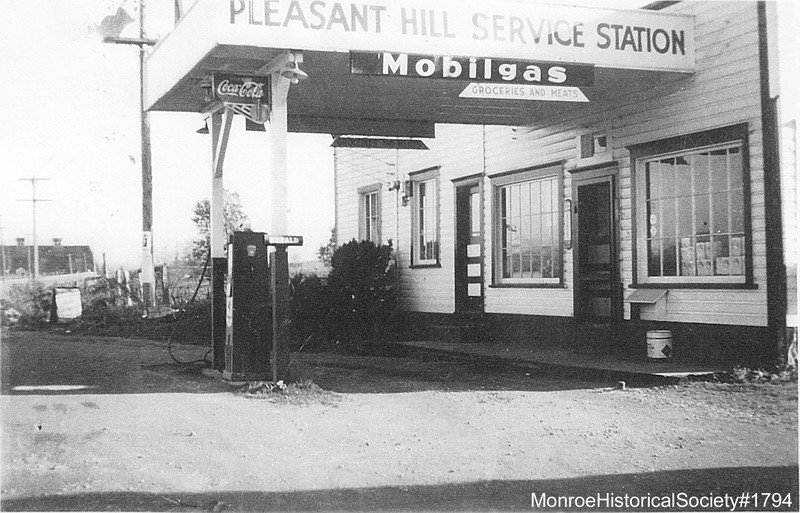 The photo on the right is of Pleasant Hill Gas. 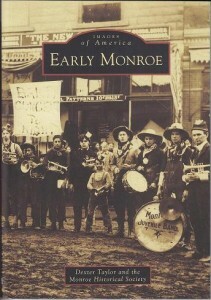 It was located where Lords Hill Road comes down to the Snohomish-Monroe Road. 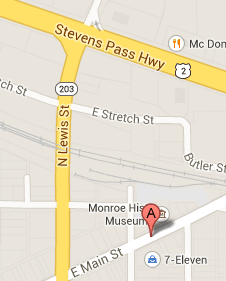 At this time this was the main cross state highway through the county, as was Main Street in Monroe. This station was built in 1922 out of a corner of the Drennon farm, and operated until the early 1950s when the new highway to the north opened. According to their sign, in addition to grocery and variety items, they also sold meat, probably from an adjacent farm. Many other gas stations existed at one time in Monroe – at W. Main & Lewis, E. Main & Ferry, E. Main & Ann and beneath the condensery smoke stack, which had ENCO painted on its side. At Roosevelt people remember Ed Modill’s Flying A station – Ed would throw candy out the front door to passing children. Although the station was long closed, the Flying A sign was there until 1980.